Riviera - fresh flowers delivered same day from Clare Florist. 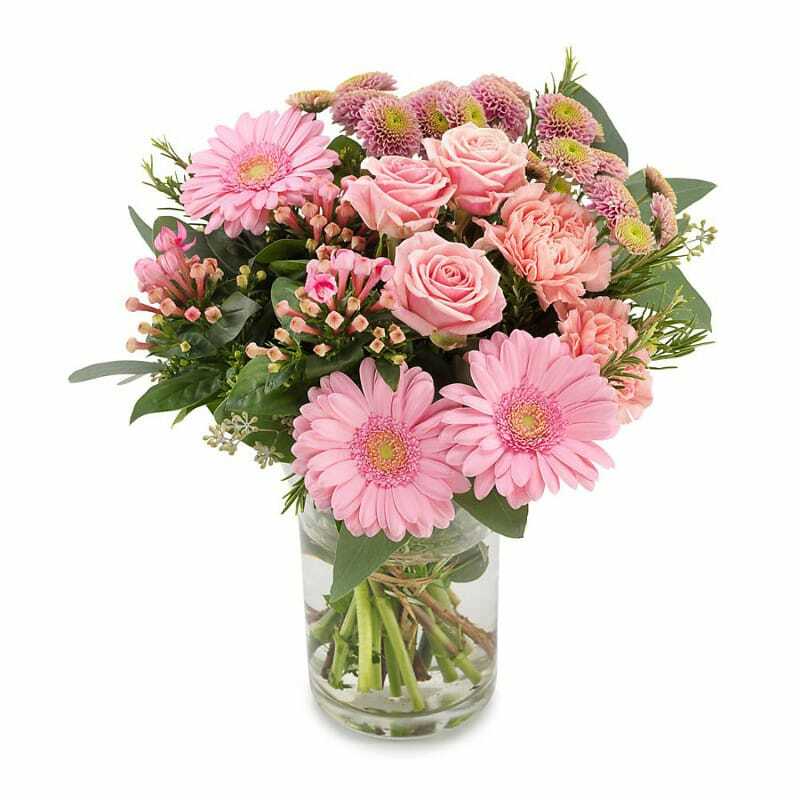 The Riviera bouquet is a classic, elegant mix of pink roses, pink gerbera and pink carnations, expertly arranged in this pretty, hand-tied bouquet. Alternatively, you may be interested in our range of pink flowers for next day delivery, all available for Flower Delivery to any UK address.